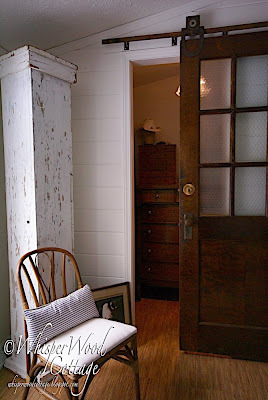 ou've seen the two doors we added during our master bedroom makeover. Well, they both received a little TLC before they took up residence in the cottage. Here's a quick little tutorial on how to add a little pep to a slightly tired but fabulous piece. I started with a scraper and gently scraped off old scotch tape and other remnants of college teaching days. After a light sand over the entire piece, I pulled out the tung oil, which is designed to add some richness and vitality to wood. I used that foam brush to wipe it onto the entire side of one of the doors. I then used a rag to wipe off any excess. After giving it a while to dry, I flipped the door and did the other side. I repeated the steps with the second door. Compare the sheen on the door below to the photos above. Big difference! 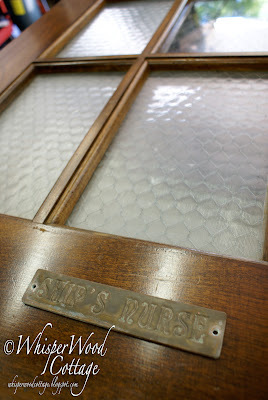 Above is a close-up of the brass "Ship's Nurse" plaque that we mounted on the door to the master bath. 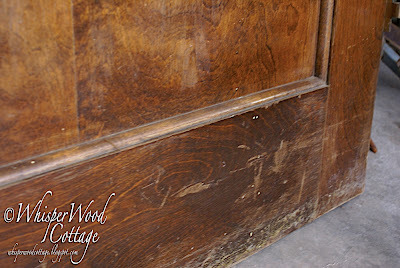 For the flat track trolleys, we lined them up on the door and pre-drilled holes. 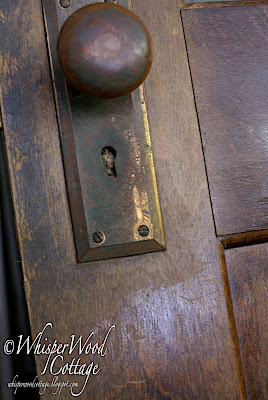 We found screws that had a rustic patina (shiny new screws would not have looked right!) and that were the proper length (always check the length of your screws so that you don't go through the other side!). 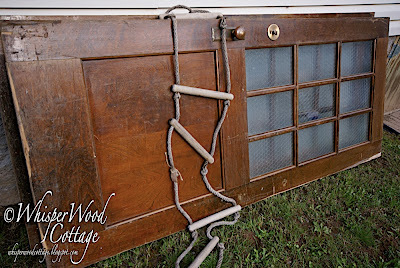 For the full master bedroom barn-style door transformations, check out the posts on door #1 and door #2. 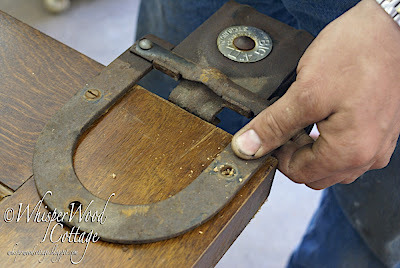 Do you have any simple tips or tricks for revitalizing a piece? What products do you recommend? I've always liked Watco Danish Oil. 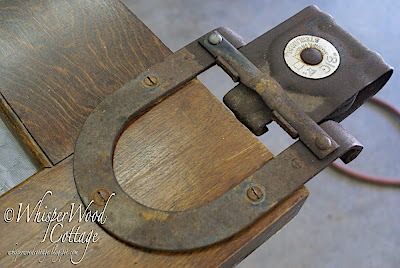 You can get it in clear or in a variety of stain colors, including my favorite, dark walnut. Amazing Amy & Ron. They look great. Nice seeing you today Amy. Little Miss Amy, these doors are truly amazing! I have got to see them in person. You really had a great vision for them. Again, they turned out spectacular!!!! Briwax and a buffer....magic time. I just love these doors. Gosh I love those doors as much as anything I have EVER seen! Good for you! I've always wanted to do this! I love it! Wow, they look fabulous! I love the way they are hung too. Great job!!! They're beautiful! Bri wax is great too! I came to you after seeing that great lamp on The Elegant Thrifter! I love these doors, and wish I had a wall I could mount a track on like that. Nice tutorial. Lanette and I were talking about your fab doors when I met her on Thursday. Sounds like you had left just before I got there, so I just missed you :-( Would have been fun to meet! 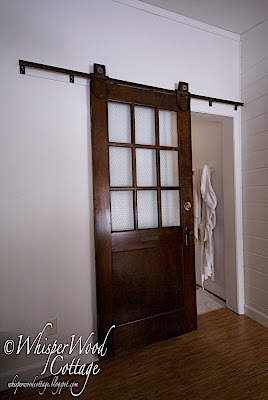 I LOVE LOVE LOVE these doors!!!! I would love to find some like that... and find a place to use them, they are gorgeous. Great job! very beautiful and using what already existed instead of it being destroyed makes it all the more a treasure. Ahh! Thank you so much for your smart advice! Much appreciated and it was very interesting. Yes its really creative, using the existing resources and creating a new thing out of it is amazing. The doors looks simply awesome. Thank you! 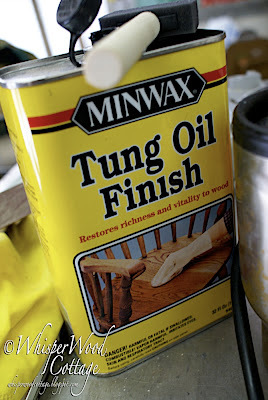 I am putting tung oil on my list for materials for my next project. Your doors look great.